The Caregiver® TouchFree™ Thermometer in Action! The Caregiver® thermometer by Thermomedics Inc. is the world’s first non-contact device with TouchFree™ technology developed by the team that invented tympanic thermometry! 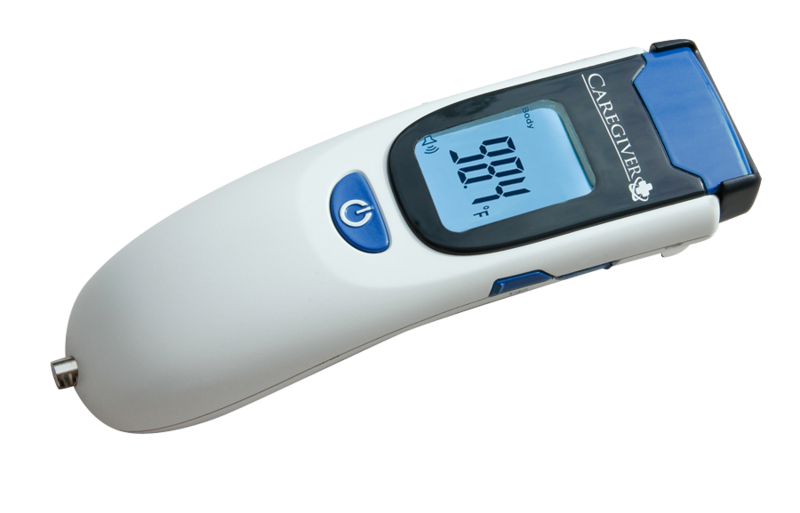 THE CAREGIVER® PROFESSIONAL is a clinical-grade infrared thermometer for measurement of forehead temperature in adults, children, and infants without contact. It is designed for use in a wide variation of medical settings and can also deliver ambient/skin surface temperatures with the flick of a switch.